The effects of war refuse to remain local: they persist through the centuries, sometimes in unlikely ways far removed from the military arena. The author explains how the Athenian defeat at Delium in 424 BC brought tactical innovations to infantry fighting; it also assured the influence of the philosophy of Socrates, who fought well in the battle. 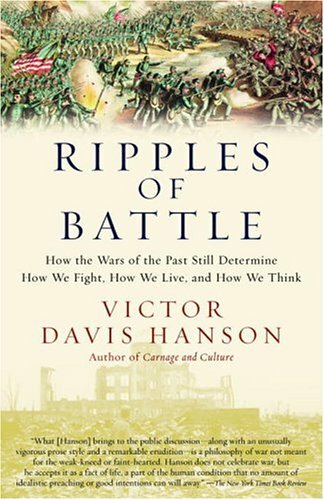 Perhaps most resonant for our time, the book discusses how the agony of Okinawa spurred the Japanese toward state-sanctioned suicide missions.